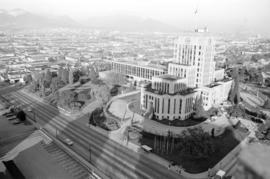 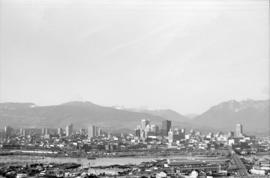 Item is a set of negatives of cityscape photographs taken mostly from the upper floors of the Plaza 500 Hotel & Convention Centre at 500 W. West 12th Avenue, at the intersection of West 12th Avenue and Cambie Street, looking north. 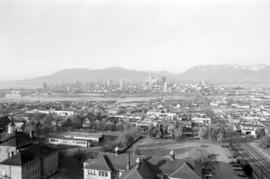 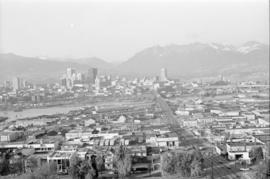 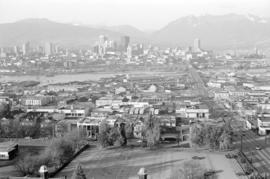 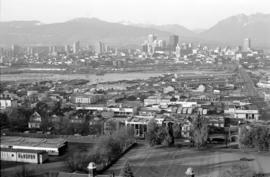 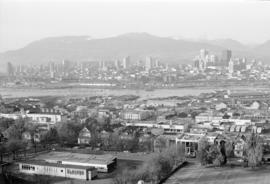 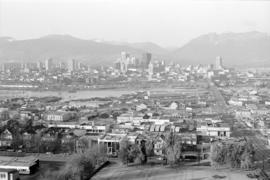 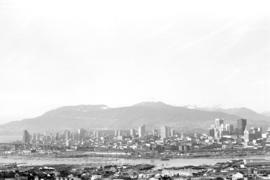 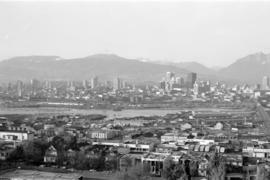 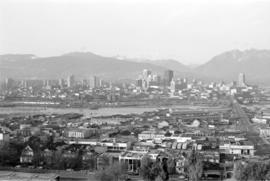 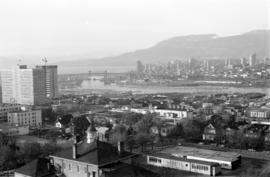 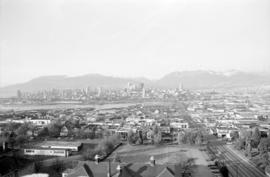 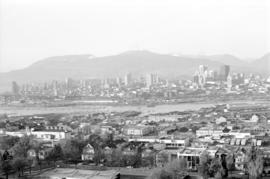 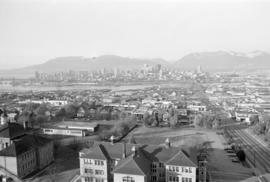 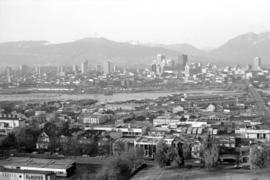 The subject material of the photographs is predominantly downtown Vancouver, the North Shore Mountains, False Creek, and the Fairview and Mount Pleasant neighbourhoods. 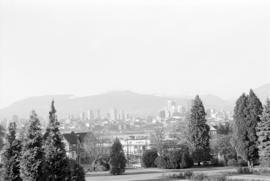 This set contains the raw photographs from the roll the photographer shot in their original order. 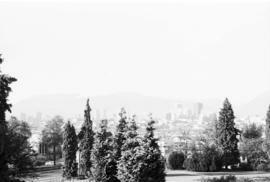 The associated contact sheet has selection marks for frames 16, 21, 23, and 25. 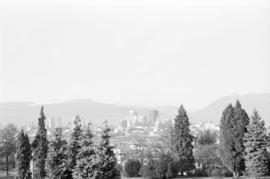 Access to original negatives is restricted for preservation purposes. Copyright: City of Vancouver; expiry: 2057-01-01.